Early visitors and Native Americans left their thumbprint in what is now Astoria, Oregon. Astoria’s heritage and roots began with the arrival of Capt. Robert Gray in 1792 and continued when the Lewis and Clark Expedition arrived in the winter of 1804-1805. The town was named for John Jacob Astor who started his fur trade in 1811. Astoria has embraced its early American history and has diversified and revitalized itself to become a major tourist destination attracting cruise ships, history students, river and sea explorers and vacationers. 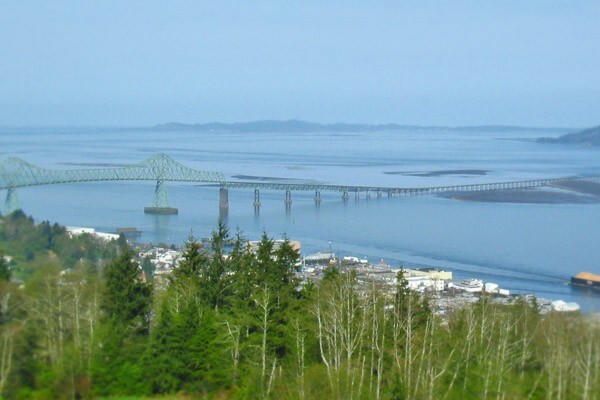 Here’s a short list of Astoria, Oregon area attractions. Fort Clatsop National Park winter camp of Lewis and Clark Northwest Expedition. Columbia River Maritime Museum, a nationally acclaimed nautical museum. The Flavel House Museum, described by SUNSET MAGAZINE as the best example of Queen Anne architecture in Oregon and home of Captain George Flavel, the first Columbia River bar pilot. The Heritage Museum, an exhibit of the natural history, geology, presence of native American artifacts and arrival of early immigrants and settlers. Fort Stevens Historical Area and Military Museum, an early battery for coastal and harbor defense. A self-guided HISTORIC WALKING TOUR of Victorian homes . Astoria has over 600 Victorian homes. Other must-see attractions include the biggest Sitka Spruce in the U.S., oldest Red Cedar Grove on Long Island in Willipa Bay; Jewell Meadows elk viewing area; Eagle Sanctuary; Columbia White-tail Deer; North Head Lighthouse and Cape Disappointment Light house; Saddle Mountain hike- highest point in country; working waterfront where bar pilots boats and tug boats service river traffic. The natural rugged beauty of the region entices visitors from all over the world to boat, fish, hike, bike, enjoy beaches and wild life sanctuaries throughout the area and explore its historical impact. Other attractions include waterfront parks, a RiverWalk along the Columbia River, whale and bird migrations in winter and spring, bird sanctuaries. Astoria has great shopping art galleries, and restaurants. Because there is so much to appreciation here in the Lower Columbia and North Oregon Coast region we highly recommend a multi night stay. In fact during the summer and early fall months, which are the best in terms of weather expectations, we request at least two night stays (then we open to single night availability about ten days before your desired date). But winter and spring is the time to stormwatch and on our shores. You can choose activities according to your personal interests, daily weather conditions, as a family with children, appreciation for wildlife and birdwatching interests, whale watching or if you have a passion for history and early exploration, there is plenty to do and see. Stroll the Sunday Market abundant with farm-fresh vegetables and and artistic crafts May thru mid October, ride the Astoria Riverfront Trolley, take your early or late run or walk along the Riverwalk, and generally breathe in the fresh air of our pristine environment. Here is a list of important links for activities and interests to plan while you’re here. Check our Packages page offering extra value or unique partnering and packages with accommodations. Our 200th birthday will be a year-long party and you don’t want to miss the fun. 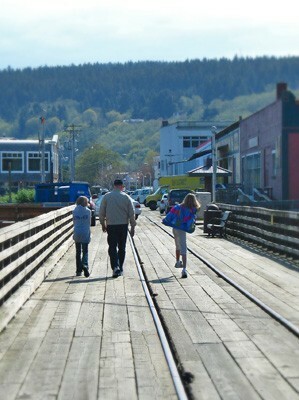 For the latest Astoria Bicentennial updates go to www.astoria200.org. Check out the chamber site for lots of venues. www.oldoregon.com . Visit the hugely popular farmers’ markets on different days in the area: Astoria Sunday Market www.astoriasundaymarket.com, other markets within a short drive are in Ilwaco Wa. www.local-farmers-markets.com, Cannon Beach www.cannonbeachmarket.org and Manzanita www.manzanitafarmersmarket.com. Fort George, the Fort, not the brewry! Crab, Seafood and Wine Festival last weekend in April www. Not listed in any order. All within a ten minute walk. Many more not listed. We are happy to make reservations for you at any of these recommended eateries.